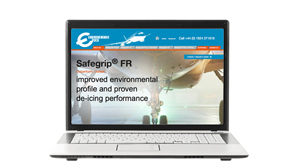 Esseco UK have been manufacturing and supplying Safegrip® de/anti-icers to major international, regional and local airports and other corrosion critical infrastructure for almost a quarter of a century. Prime have been lucky enough to work with these great guys on their new website llzzz.gluxqzdb-gh-lfhu.llfrp.ru3.gsr.awhoer.net. Their product is proven and has fantastic results.